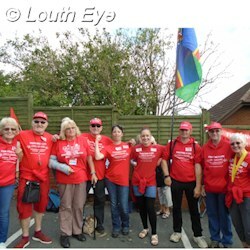 On Saturday, 2nd September 2017 marchers took to the streets in Louth to protest against cuts to the local hospital that have seen services scaled back and a merger between Louth and Skegness hospital on a single site mooted in the recent Sustainability and Transformation Plan (STP). 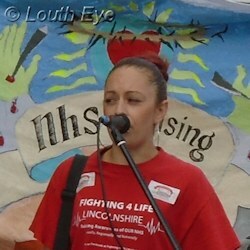 Over 300 people marched in the NHS Uprising, which was accompanied by the PCS Samba Band. 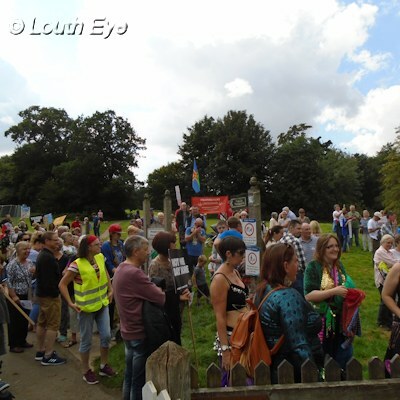 The march was followed by speeches from a number of people including Liberal Democrat politician Caroline Kenyon, Melissa Darcey of Fighting For Life Lincolnshire, Sarah Stocks, Frank Slater, and Louth town councillor Julie Speed. After that, the Hospital Club was host to a gig in support of the event and featuring The What (joined by Corinne Drewery), The Legendary Nighthawks with Dave Formula on keyboards, Robots Found Errors, Blue and Black, The Stallers, and Twa Auld Rievers. 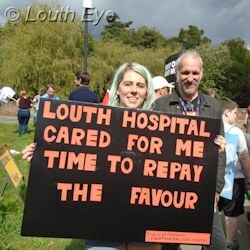 The march was organised by Fighting 4 Louth Hospital, a group campaigning to ensure the hospital not only stays open, but also that its services don't continue to be downgraded. The march received a reasonable amount of press coverage, which led local Tory politicians to react by characterising campaigners as "scaremongers". Which is an unfortunate reaction, considering the current state of ULHT. Dr Neil Parkes, Dr Donal Staunton, and Angela Jesney, the practice manager of Newmarket Medical Practice came to an extraordinary meeting of Louth Town Council on 5th September. This was held to discuss the mergers of five local surgeries into two practices. Kidgate Surgery and James Street practices are planning to merge. Meanwhile Newmarket Medical Practice, New Coningsby Surgery and The Wolds Practice, Tetford are also planning to merge three surgeries into one. The rationale behind these mergers is in large part to attract new doctors to the larger practices, where they will have more opportunities to provide a wider range of specialist services. They hope this will appeal to doctors who want a wider "portfolio" career: they might be able to spend some days in general practice, and others following up a specialism, for instance. A larger practice will also be able to bid for a pharmacist. 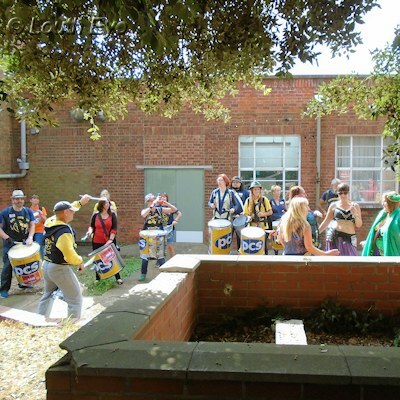 Ms Jesney reported that their feedback so far was around 80% in favour of a merger. 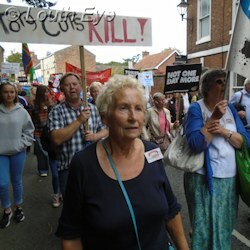 She also reassured councillors that the move wouldn't have a great effect on travel times for patients, because in general people would continue to visit their existing GP practice. I asked what measures they would be putting in to maintain the continuity of care so that patients wouldn't have to keep repeating the same stories about their problems to many different health professionals. The response was that this is getting harder due to portfolio working. Dr Staunton was much more blunt. "It's going to get worse," he said, and even suggested that we "move to Scotland." 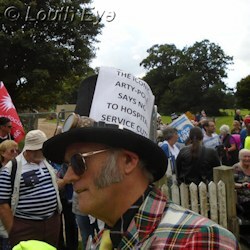 His assessment of the general situation of health services locally was damning. "The local medical infrastructure continues to deteriorate," Dr Staunton said. He spoke of Louth Hospital having 8 hospital beds instead of 48, with pathology shut down and radiology diminished. He went on to say "centralisation is our enemy," and that there was "no medical justification" for it. 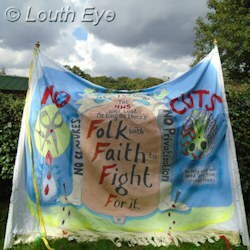 The hospital site had not been sold for housing and was still owned by NHS Property Services. That Carlton and Manby wards had restricted occupancy due to fire safety works, and they would go back to full occupancy after these works had been carried out. 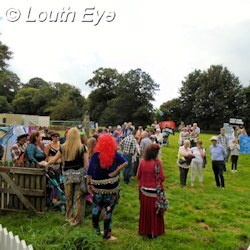 That he had seen no plans that suggested the closure of Louth Hospital. It seemed as if Dr Morgan was telling the council that there was nothing to see here. However, since then these assurances seem increasingly hollow. It's nice to be assured the site isn't for sale, but it's a red herring. It misses the point about the erosion of services that really worries people. The town council was told in September that only 8 beds were open. Did he not read page 85 of the STP that proposes merging Louth and Skegness community facilities on a single site? Furthermore, I asked Mr Morgan to provide specific details about which services currently exist at Louth, which services have been lost in the last couple of years, and which services might be at risk. To date I have had no response from LCHS to my question about service losses. To an extent, I'm not surprised not to have had a response. 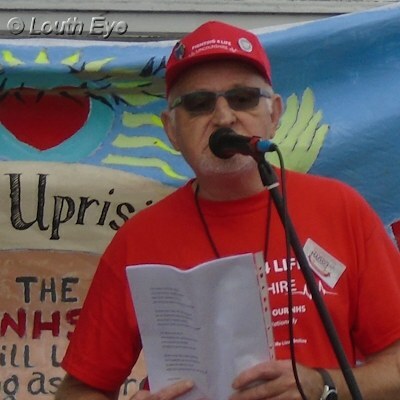 Recently it has been revealed in the press that ULHT is in financial special measures due to a debt of £30.7 million. There is clearly a crisis in GP recruitment in East Lindsey. This is a crucial factor behind five GP practices looking at mergers so they can remain sustainable. ULHT, which runs Lincolnshire's hospitals and is one of the NHS bodies involved in running Louth Hospital, is in desperate financial straits. 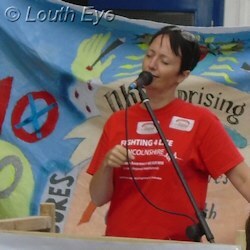 The town council was told Louth Hospital is operating with only a sixth of its 48 beds. Services have been lost from Louth Hospital, but there is little transparency from health chiefs about what has been lost. 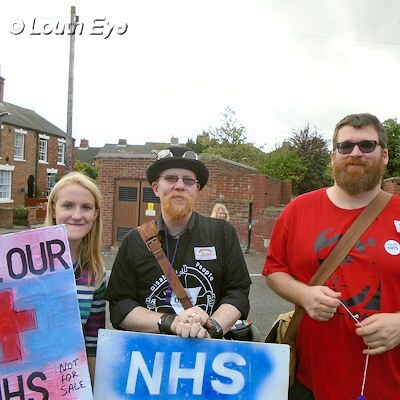 Local Tories should concentrate less on stigmatising campaigners, and more on getting the government to fund the NHS sustainably so that we can all have confidence in its future. The town council debates hospital cuts facing Skegness and Boston, and the cattle market continues to cause discontent.